Nike's new NG360°s app for iPhone may seem like a dream come true for those that are sick of trying to keep track of paper scorecards, but it ultimately aims to be much more than that. The new free app released this week will let golfers capture videos of their swing, upload them and get instruction from Nike Golf’s team of certified instructors. 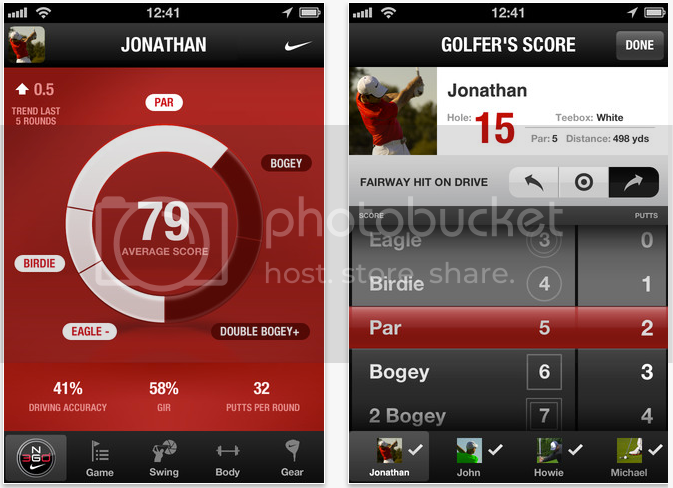 Naturally, golfers are also able to navigate Nike products through the app that are suitable to their needs, while also receiving product recommendations from the Nike Swoosh Staff, but golfers can also upload the contents of their bags in the “What’s in their Bag” section of the networking app. The company says that new NG360 App is one piece of a bigger initiative that is a holistic approach to improving golfers' performance through physical evaluation and training, custom fitting of equipment and digital tracking applications.